Alien Bee: Dwayne "The Rock" Johnson Could Be The Next HURCULES! Dwayne "The Rock" Johnson Could Be The Next HURCULES! 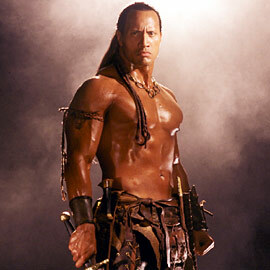 Variety reports that Dwayne Johnson is in talks to star in MGM's HERCULES that will be directed by Brett Ratner. This sounds like "potential awesomeness" in the making! MGM's Roger Birnbaum, Gary Barber and Jonathan Glickman are on board to produce the film along with Peter Berg and his Film 44 partner Sarah Aubrey, as well as Barry Levine of Radical Pictures, whose Jesse Berger will executive produce.